Hard Coating : can protect the uncoated lenses from scratch resistance . 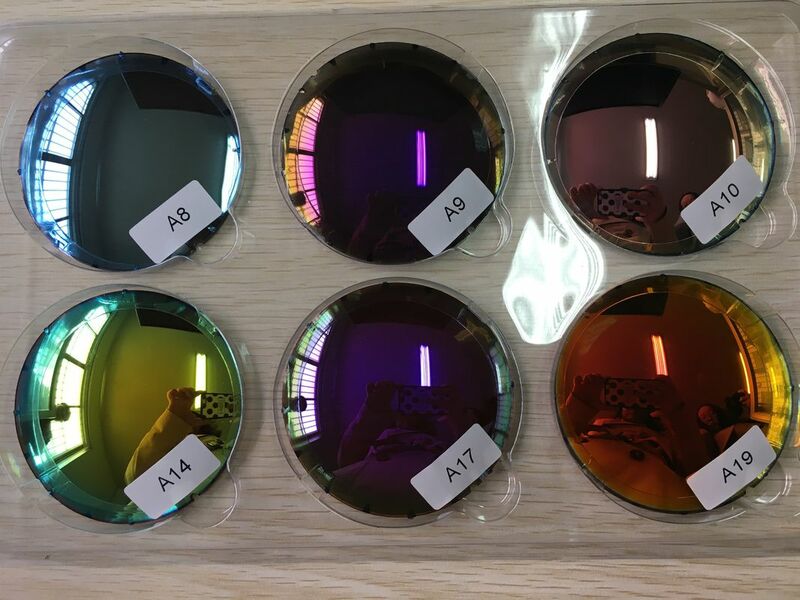 Anti reflection coating : also called hard multi coated , can protect the lens effectively from reflection, enhance functional and charity of your vision . Regular Hydrophobic Coating : also called crizal coating , can make the lenses waterproof, antistatic, anti slip and oil resistance. Generally speaking , super hydrophobic coating can exist 6~12 months. 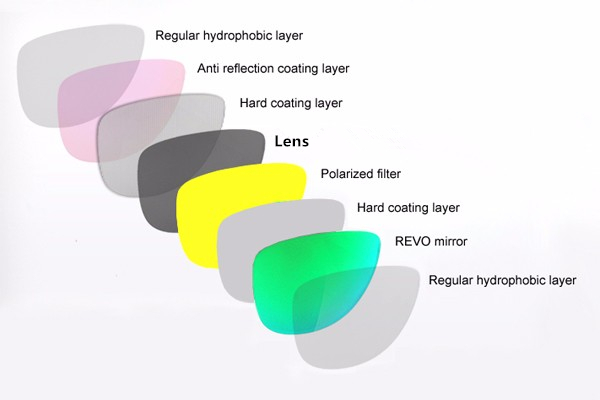 Mirror/Revo Coating:Polarized lenses can be with mirror coating. Mirror coating lenses are more and more popular than regular lenses nowadays. It can be used on all kinds of polarized glasses. ● The usage of the polarized lens. ● The fashion of the Polarized lens. Fashion trends can be another reason for wearing polarized glasses, particularly designer polarized glasses from high-end fashion brands. Polarized glasses of particular shapes may be in vogue as a fashion accessory. The relevance of polarized glasses within the fashion industry has included prominent fashion editors' reviews of annual trends in polarized glasses as well as runway fashion shows featuring polarized glasses as a primary or secondary component of a look. 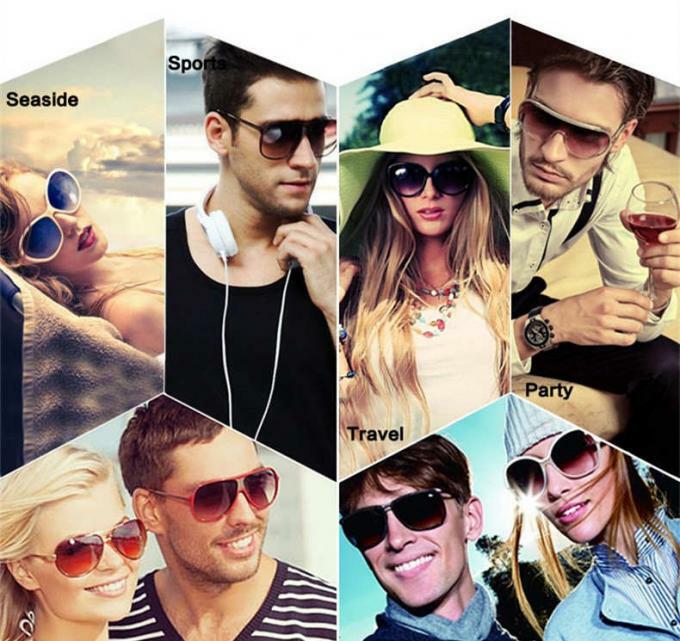 Fashion trends can also draw on the "cool" image of polarized glasses and association with a particular lifestyle, especially the close connection between polarized glasses and beach life. If you need more color choices, please contact us. 1. We are equipped with world advanced machines and facilities; cooperating with some international branded monomer company ; using European quality and management system. All of these guarantee the stable good lens quality.